A North Carolina woman has shared on Facebook her shock at discovering “lesbianism” listed as a “problem” on her medical records. 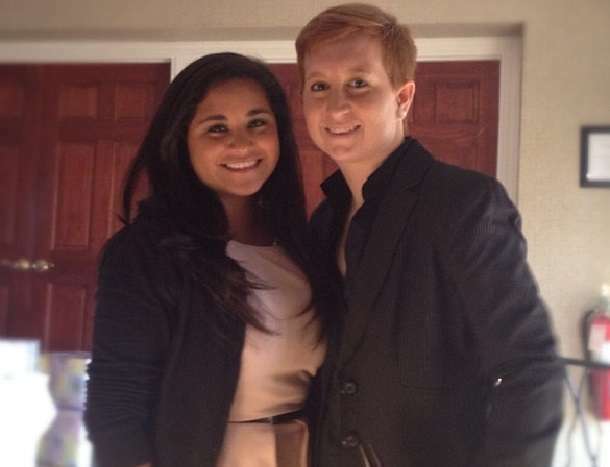 In a Facebook post earlier this week, Kristina Rodriguez (pictured, right) shared a photo of the document written by her GP she says she sighted that listed “lesbianism” on the “Problem List,” alongside two other medical conditions. “Someone PLEASE PLEASE enlighten me as to how this is relative to my medical problems? !” she wrote in the post, that’s been shared more than 200 times. In a comment on the original post, she explained that she’d quizzed her doctor on why he had included her sexuality in the list, and “he stated that he put it in there for my protection so that people wouldn’t accidentally refer to my partner as husband or partners as boyfriend. “He stated he could list it somewhere else, he could list it next to my name instead so that other practices would know it when I came in. Carolina’s Healthcare System, of which the general practice Kristina visited is part, told Yahoo! in a statement: “Sexual orientation is not a clinical diagnosis and we will be working closely with our physicians and providers to ensure that information included in medical records is appropriate, respectful and consistent with our belief in the importance of diversity.